As you may recall, I am reading Harry Potter FOR THE FIRST TIME and then watching the corresponding movie after each book. So far, I really enjoyed books 1 & 3, thought 2 was decent but felt it suffered from being formulaic, and that I have not been overly thrilled with any of the movie adaptations, but the third has been my least favorite of those so far. 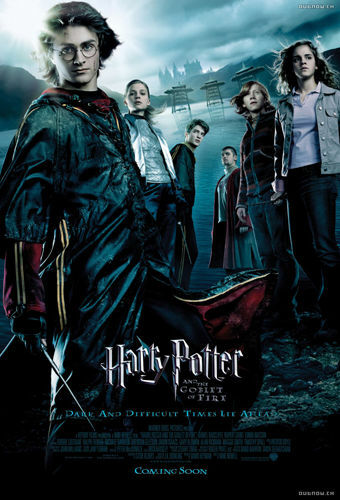 Now I have great news: So far, The Goblet of Fire is my favorite Harry Potter book AND movie! This is when the books start getting long, 700+ pages, and I can’t deny that it was intimidating (my longest read last year was 562 pages). However, I hoped with a longer book we would get a lot more details and action. I won’t say that 700+ pages delivered significantly more than the previous books with only 300ish pages in terms of how much happened (well, before the really intense stuff, obviously), but the pacing was usually on point (I did find it lagging or sort of odd in a few spots), and I did like the development. And just like Azkaban, those last few chapters were like OMGOMGOMG for me. I mean seriously, when a certain person met a certain fate and crap was going down I’m pretty sure I said something out loud, like WHAT, or ARE YOU SERIOUS, or who knows what, but the point is I was really into it. It was the point I feel I have been waiting for, that turning point in the series everyone talks about. The book has some flaws, but I really loved this story and just devoured that ending. Also, Hermione is still my favorite. She’s so much more reasonable than everyone else. Thank goodness, finally, the script didn’t feel strange! There were several added lines that were seriously funny, I liked the addition of more Neville, the omission of the house elves and their subplot, and the things that were changed or condensed actually made sense this time (except I think we could have used a few more minutes of The World Cup and The Dark Mark stuff at the beginning. I like that we skipped the Dursleys entirely though!). You know what else didn’t feel strange? The directing! I think maybe only once I thought someone was staged awkwardly, and it was far less egregious than the previous movies. I mean seriously, despite my production background, I only think about the direction of a movie/show if it truly stands out, either for being awful or for being great, and the Harry Potter movies have made me think way too much about directing in a not good way. Until now, finally. I know the director changes yet again so I hope I will be as happy with the last few films as I was with this one. At the very least, maybe the screenwriter is finally getting the hang of adapting the books to script. I will say that this movie gets a 4 for being a worthy adaptation, but I feel I can’t give it higher since it can’t replace the book and I don’t know how many times I would rewatch it on its own. Alright, The Order of the Phoenix is next, about an extra 100 pages, and I know stuff is just going to keep going down. Bring on the action, the drama, and the teenage angst (seriously, these kids are starting to get moody)! 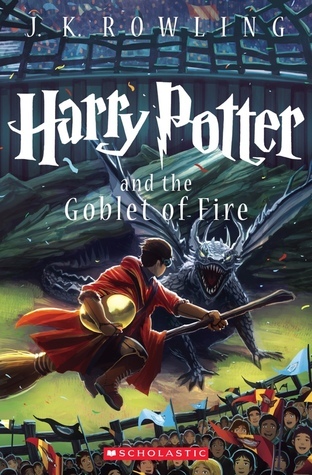 What are your thoughts on The Goblet of Fire (book and/or movie)?